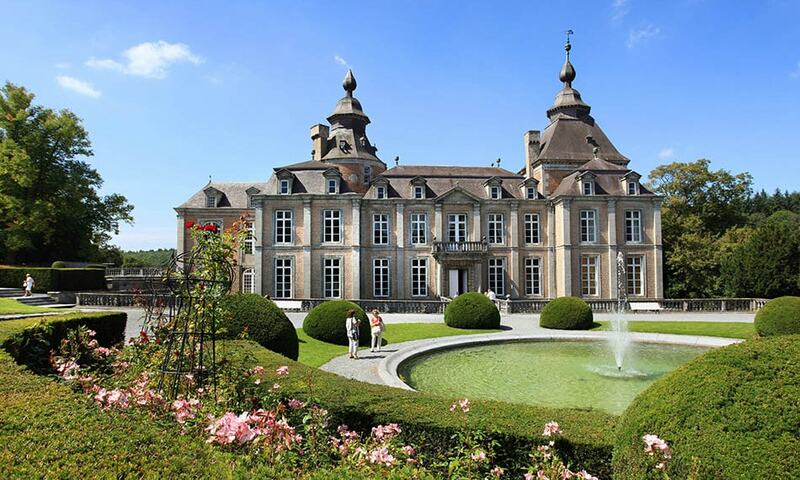 The Chateau of Modave, also known as the Chateau des Comtes de Marchin is the most prominent preserved example of High Baroque country-house architecture in the Southern Netherlands and the Prince-Bishopric of Liege. The oldest part of the building, the donjon, was built by the lords of Modave on a strategic rock high above the valley of the river Hoyoux. In the 17th century Jean-Gaspard-Ferdinand de Marchin, a great military commander, acquired the castle and turned it from a medieval fortress into a luxury Baroque residence. The castle is open for visitors from April until October and it is also used as a prestigious venue for concerts and receptions. It is unique for its splendidly preserved historic interiors and furniture dating from the 17th and 18th centuries.